Stepping back into what only seems yesterday but in reality is 11 years, here is a photograph of the roommates at Dentist Office #6 on Darwin Avenue in Logan, Cache, Utah on 17 October 2003. Matjaž Marinčič had come to visit from Slovenia and stayed for a few nights. With the new-found friendships, we snapped a picture. Mark had visited Llubljana where Matjaž is from and it is from that friendship that he came to visit. Good times. 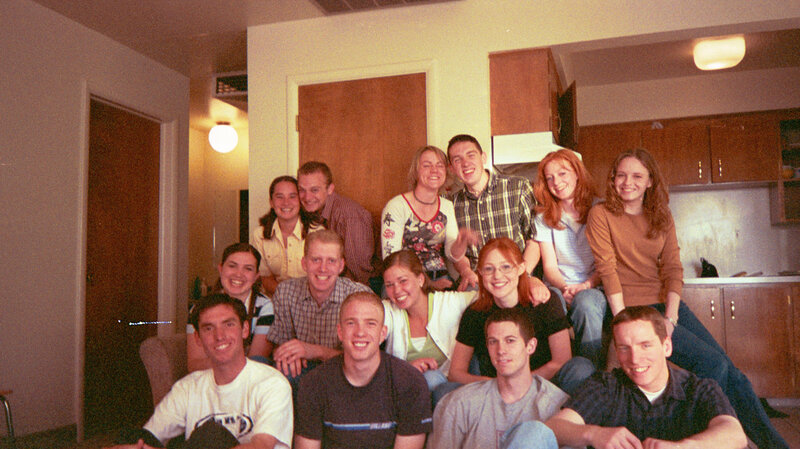 I don’t know why, but I thought I would share this only photo I have of the place I lived at Utah State from 2003 to 2005. 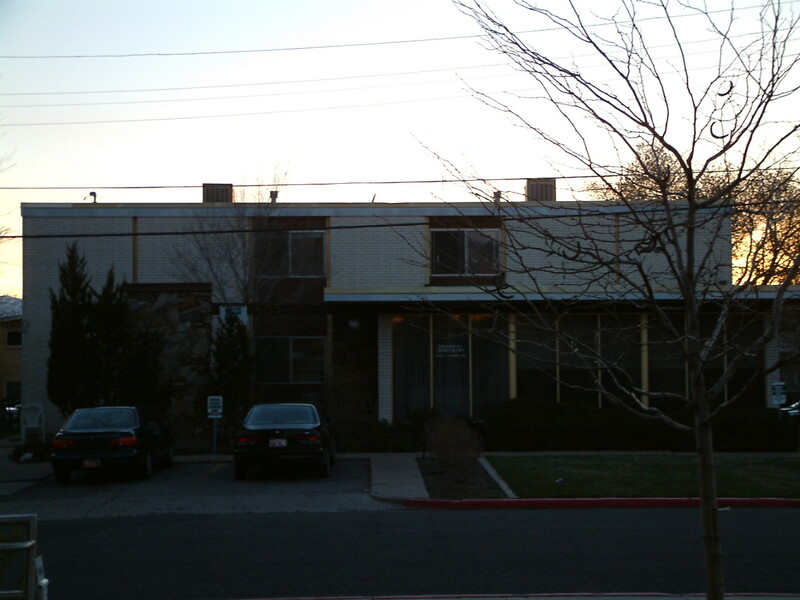 It is located on Darwin Avenue in Logan, Utah and is colloquially known as Dentist Office. Aptly named from the dentist office that occupies the front of the building. Anyhow, many memories here and just one, somewhat poor, photo. Maybe someday I will return and get a better photo. My bed was immediately below the top right window for the entire time I lived there. I believe the address was something like 655 Darwin Avenue and we were in Apartment #6. Here are some pictures from the earlier groups. 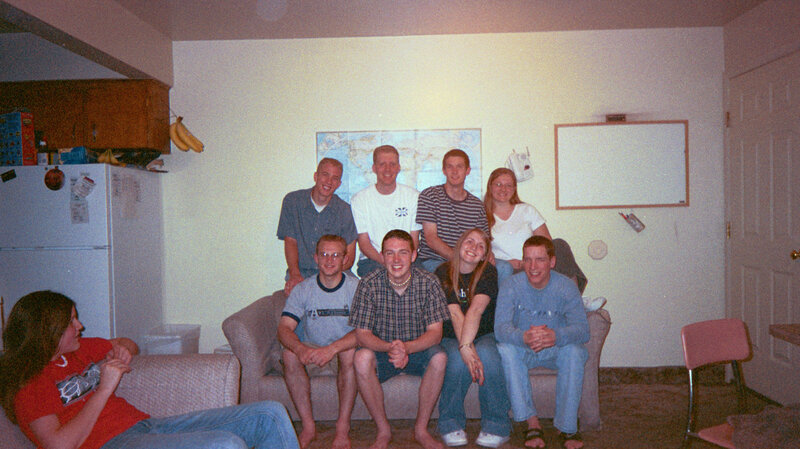 I don’t have many of the later roomies, I guess we didn’t see the need to take pictures. Back(l-r): ?, Sam Allred, Becky Nudd, Seth Warburton, Stephanie Adair, Jeana Stuart; Middle: Emily Sara, Paul Ross, Lynsi Lund, Colby ? ; Front: Joe Sheppard, Matt Petersen, Mike Staheli, Brad Hales. 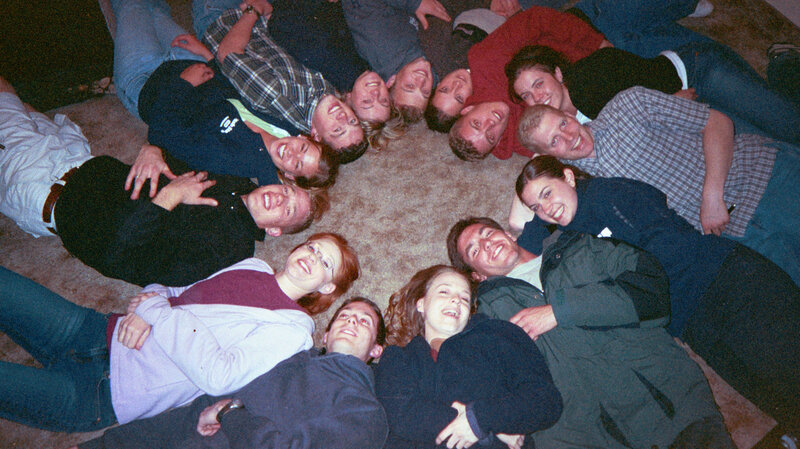 Starting from and working clockwise, Emily Sara, Joe Sheppard, Jeana Stuart, Mike Staheli, Colby ?, Matt Petersen, Lynsi Lund, Seth Warburton, Becky Nudd, Sam Allred, ?, John Catron, ?. Back: Matt Petersen, Paul Ross, Mike Staheli, Jaime Nelson: Front: Sam Allred, Seth Warburton, Tina Stringham, Brad Hales. On other couch: Melissa Gregory. Taylor Willingham, Paul Ross, Patrick Neary, Greg ? 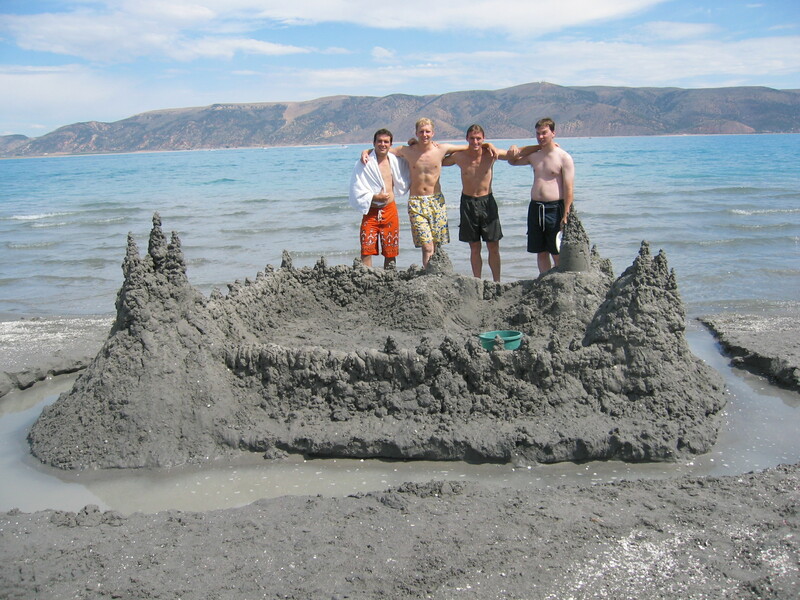 at Bear Lake. 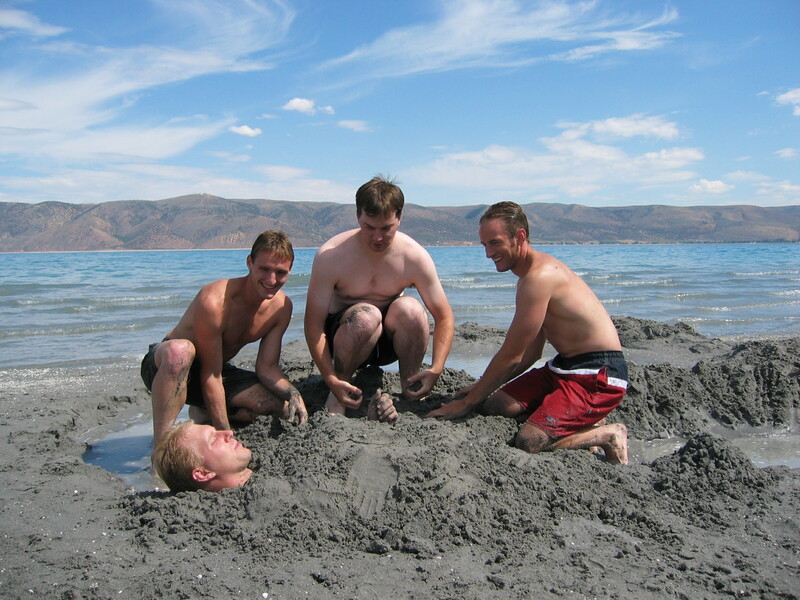 Patrick Neary, Greg ?, Mark Morris with buried Paul Ross at Bear Lake.